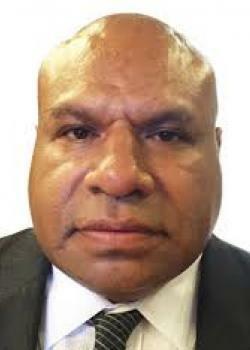 Papua New Guinea's former tourism minister and member for Kundiawa-Gembogl Tobias Kulang has spent the last two weeks in the Goroka police cells since he was arrested and charged with instigating violence that resulted in a murder in Kundiawa town. He appeared before the Goroka district court for mention last week, and the district court has referred his case to the national court, where the former MP’s lawyer is filing a bail application. Eastern Highlands provincial police commander Chief Superintendent Alex N’Drasal said Kulang had been remanded in Goroka cell since his arrest two weeks ago. Supt N’Drasal said he was arrested for murder and instigating violence in Kundiawa town during the counting period that resulted in deaths. He said police have conducted an investigation into the matter and will present it in the national court, where Kulang’s case has been referred. Supt N’Drasal said it is safe for Kulang to stay in the cell for his own safety because of the nature of the situation, until his lawyer successfully makes a bail application in the national court. He added that the election processes in the country were national democratic processes, and when people or individuals are manipulating or disturbing them, these are serious offences. N’Drasal called on the people of Eastern Highlands and Chimbu provinces and other parts of the country to leave election-related matters behind, now that the elections are over and carry on with their lives. He said the police force, with assistance from other security forces, will continue to do its best to protect the lives of the people and properties.